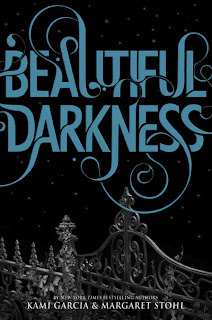 The Compulsive Reader: Beautiful Darkness Cover and Description! 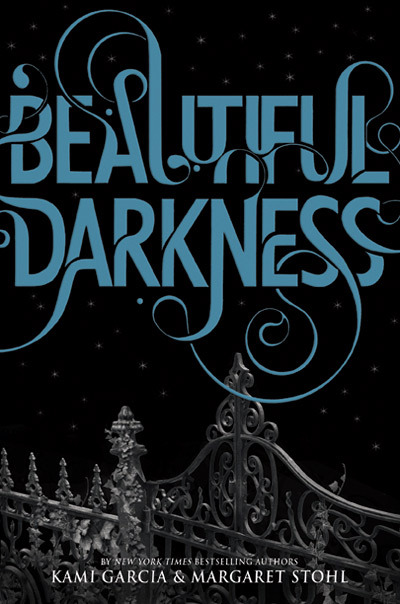 Beautiful Darkness , sequel to Beautiful Creatures by Kami Garcia and Margaret Stohl, now has a cover and description! Sounds exciting, right? I am eager for another long, sultry, and mysterious read! And I am loving this cover! I don;t think I like it as much as I like the BC cover, but I like the blue and the stars, and the unique font is artwork in and of itself! yay! Exciting, indeed! Now, I'm even more excited to read Beautiful Darkness. Kami and Margie are awesome writers. I can't wait for Beautiful Darkness to come out! I think the cover for BD is more realistic and the cover for BC was more fiction-like.